So you’ve carefully picked out some parts and built a computer, but it doesn’t really do anything…yet. Before we hop into installing your operating system, we need to take a quick look at the BIOS and prepare it for our operating system. 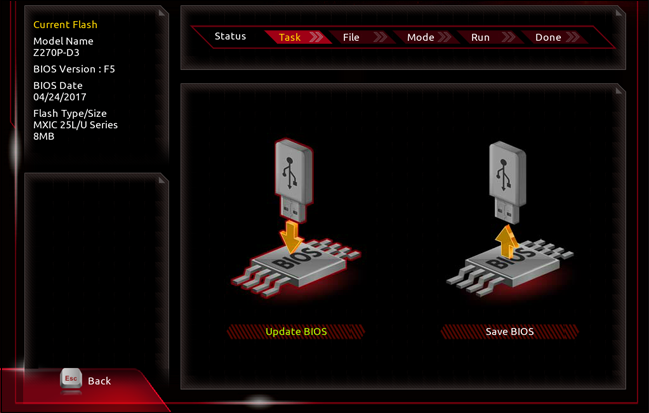 BIOS stands for “Basic Input-Output System.” It’s a tiny program that’s stored on a small memory chip in your motherboard, and it runs on your computer before the operating system does, setting everything up and allowing you to change basic settings. It’s what allows you to install a new operating system, overwrite an old one, or do more technical stuff like overclock your processor. If you don’t have an operating system installed on your storage drive, the UEFI/BIOS program should start immediately when you turn your computer on. If it doesn’t, take a look at the splash screen (the one with your motherboard’s logo or text): it will have directions on how to start it. Usually you do this by quickly pressing F1, F2, F11, F12, Delete, or some other secondary key on your keyboard as it boots. (On our Gigabyte keyboard, the command is “Delete,” in the lower-left portion of the screen above.) If you don’t get it on the first try, just turn the computer off and give it another go. Once you’re in, there are a few things you may want to do. Chances are, your motherboard is not running the latest version of its UEFI. Updating it helps to support new features, patch bugs and security vulnerabilities, and generally give the place a bit of spit-and-polish. 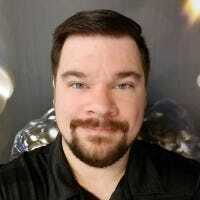 Because the UEFI runs before the full operating system, it doesn’t have a way to update itself over the Internet, and you’ll need to do it manually. RELATED: Do You Need to Update Your Computer’s BIOS? Note that you don’t generally need the latest version of the motherboard firmware, unless you run into specific compatibility problems with newer hardware and features. For example, if you have a last-generation motherboard and a current-generation CPU that happens to use the same socket, you may need to update it for the CPU to work properly. Updating is also sometimes recommended for specific, critical security updates or bugs. You can check for the latest version of your UEFI/BIOS by putting the model number into Google and adding “BIOS update.” (Check the box or one of the UEFI menus if you don’t know your motherboard model.) On your manufacturer’s product page you’ll find a list of updates, usually under “Support.” Download the latest one if your UEFI isn’t already running it. Download the updated UEFI file from the Gigabyte website (on another, working computer, of course). Transfer the file to a USB drive. Plug the drive into the new computer, start up UEFI, and press F8. Follow the on-screen instructions to install the latest version of UEFI. Your motherboard and BIOS/UEFI will follow the same general steps, but not necessarily exactly. You can usually find the process with a quick Google search. If for some reason you can’t get it working, don’t worry: motherboard manufacturers also frequently offer programs that can update the BIOS/UEFI once you get Windows up and running, too. Next, check to make sure that your motherboard can recognize your storage drive. If it can’t, the Windows setup utility you use in the next article won’t have anything to install to. The instructions here are unfortunately going to be a bit vague, because every company’s UEFI program is laid out differently. All we’re really trying to do is find the page that manages the storage drives. On our Gigabyte motherboard, this is found under the “BIOS” tab (because the new UEFI includes all of the old “BIOS” settings, you see). If you don’t see your drive or drives, double-check the power and SATA data cables in your case. If you’ve verified that they’re connected and you still can’t see the drives in BIOS, you may have to replace them. There’s a lot of other interesting stuff you can do with your computer’s UEFI or BIOS, but none of it is really necessary to get an operating system up and running. Feel free to poke around at some of the options; most of it is self-explanatory, like powering up the computer when the mouse or keyboard is touched. If you don’t understand what something controls, don’t touch it without doing a Google search first. Once you’re done with everything in the BIOS and UEFI, head to the next article to install Windows. Note that you’ll need another working computer with access to the Internet if you don’t already have an installation disc or USB drive ready.